It’s not every day that a new fund is closed, much less one focused on fintech, but that’s exactly what has happened. Adam Felesky, co-founder and former CEO of Horizons ETFs, and Paul Desmaraias III, a vice president of Power Corporation of Canada and of Power Financial Corporation, have announced the closing of Portag3 Ventures, a new fund dedicated to innovation in the fintech sector. Felesky has been named president and will take charge of the fund’s everyday operations, while Desmaraias will collaborate closely with Felesky as executive chairman. "Our goal with Portag3 is to find the next generation of Canadian financial technology entrepreneurs and help them build global companies," said Felesky. "We are looking for creative ideas that have great potential. Our vision is to be long-term partners in the businesses we invest in. We will support each of them with our time, mentorship and expertise." Portag3 is dedicated to finding ambitious, inventive fintech entrepreneurs and making early-stage investments in companies with the potential for innovative change and global impact. It is exclusively backed by a corporate partnership between Power Financial Corporation, IGM Financial Inc., and Great-West Lifeco Inc. Individually, the members of the group have already made several promising investments, including getting stakes in Wealthsimple, Borrowell, Clearbank, Koho, and League. 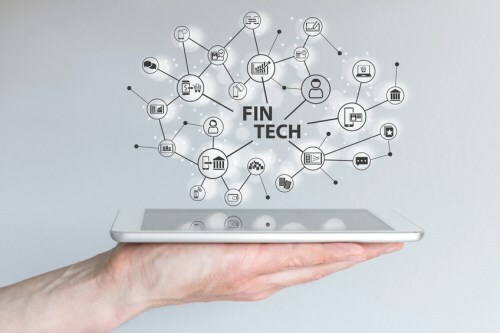 "I am excited to be working with Adam Felesky, a proven Canadian business builder, to help create the next great FinTech companies," said Desmarais. "Through this new vehicle, we will continue the Power family of companies' tradition of building sustainable businesses. We believe strongly that entrepreneurship is part of Canada's social fabric and we want to give our entrepreneurs the proper tools to succeed here at home and confidence to expand globally." What does the OSC head have to say about investment reforms?